​Robertson Heritage Railway Station Inc holds a number of special events throughout the year, as well as looking after the gardens and heritage railway buildings including the station and a refurbished Fettlers Shed used now as a gallery and community facility. on the eastern edge of the Southern Highlands. 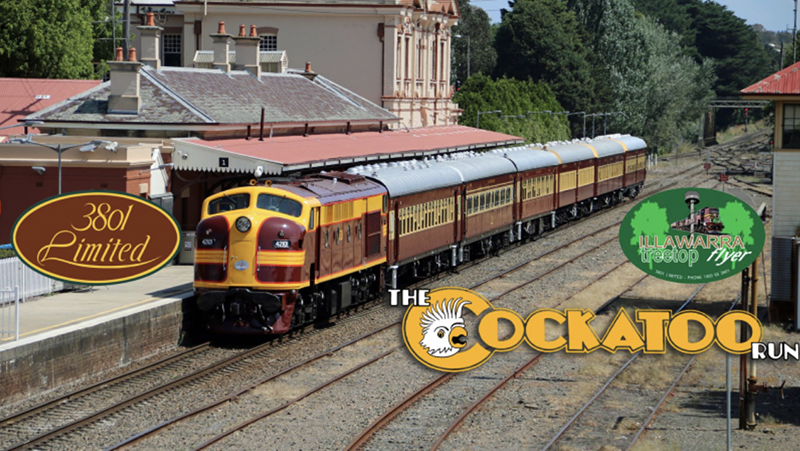 Click on image above to make a booking if you would like to ride this Cockatoo Run train to Robertson and back from Sydney or from Wollongong to Robertson and back. The train is due to arrive around 12.30pm. The train will remain at Robertson from when or arrives at about 12.30pm until it returns to Sydney later in the day, about 3.15 pm. The tourist train will be hauled by a suitable heritage diesel locomotive, probably 42101. We will know more as the date draws nearer. ﻿﻿﻿Steam Engines visit us on special occasions. 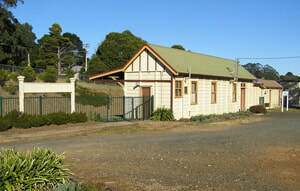 The Robertson Railway Station has a unique set of buildings completed in 1932 when the Illawarra Mountain Railway was built and is heritage listed by the National Trust. The station precinct has a museum, gallery, picnic pavilions, Perway/Gang Shed, reconciliation carved poles, and Flugelman sculpture in landscaped gardens.